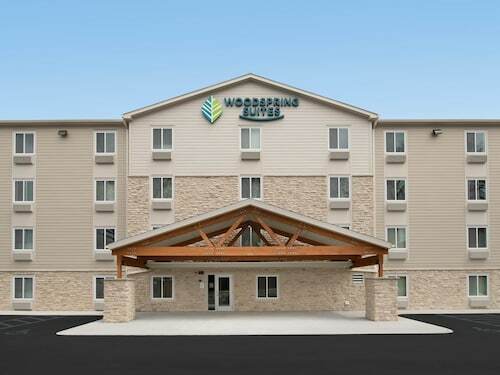 Situated in Oakdale, this hotel is 2.3 mi (3.7 km) from Tamarack Village and 2.6 mi (4.2 km) from Woodbury Lakes. Maplewood Mall and RiverCentre are also within 9 mi (15 km). Situated in Oakdale, this golf hotel is within 1 mi (2 km) of Tamarack Village and Woodbury Lakes. RiverCentre and StoneRidge Golf Club are also within 9 mi (15 km). Situated in Oakdale, this hotel is within 1 mi (2 km) of Tamarack Village and Woodbury Lakes. RiverCentre and StoneRidge Golf Club are also within 9 mi (15 km). How Much is a Hotel Room in Oakdale? 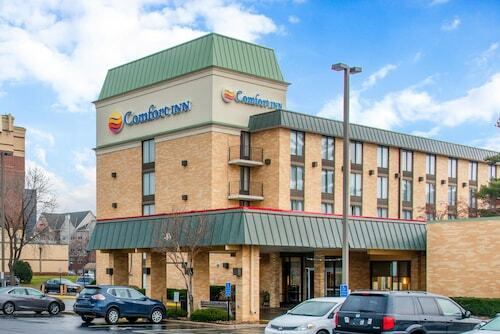 Hotels in Oakdale start at $93 per night. Prices and availability subject to change. Additional terms may apply. Looking for an excellent place to stay when looking for inspiration in Oakdale? Travelocity features many special luxury and affordable rooms. At this point in time, Travelocity's easy-to-use guide has 14 places to base yourself within a 6-mile (10-kilometer) distance of Oakdale's center. 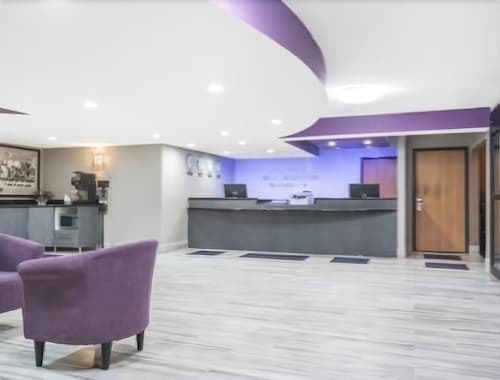 The Best Western Regency Plaza Hotel - St. Paul East is considered one of best-located rooms, one of the limited choices within walking distance of the Oakdale downtown precinct. The Rivertown Inn is situated 9 miles (14 kilometers) outside of the center of Oakdale. Another place to stay is the The Saint Paul Hotel, which is located about 7 miles (11 kilometers) away. Some other hotel and apartment options in the area are the The Commons Hotel - A Noble House Hotel as well as the Afton House Inn. 8 miles (13 kilometers) from Oakdale, you'll reach St. Paul, where you can spend the day exploring University of St. Thomas and Hamline University. 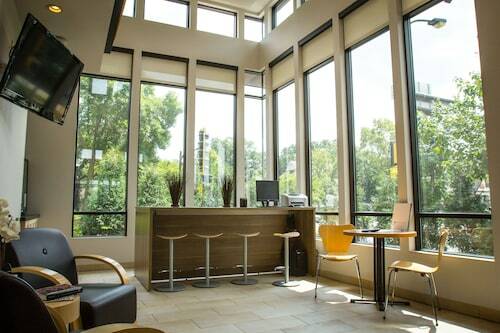 A few St. Paul lodgings include the Holiday Inn St. Paul Downtown and Embassy Suites - St. Paul. Or, you could stay the night in Hastings, 19 miles (31 kilometers) south of Oakdale, where you can choose from the Nichols Inn of Hastings and Val U Stay Inn and Suites. Whether you're just passing through or staying in Hastings, it's worth visiting the Alexis Bailly Vineyard and Carpenter St. Croix Valley Nature Center. Just because you and your traveling partners are taking a break from your usual habits, doesn't have to mean you shouldn't expand your obsession for stadium sports. Xcel Energy Center is situated 7 miles (12 kilometers) to the southwest of Oakdale. Enlightened travelers who enjoy the ease of booking a room not too far away, book a room in the InterContinental Saint Paul Riverfront or DoubleTree by Hilton Hotel St. Paul Downtown. Minneapolis - St. Paul International Airport is a commonly used arrival point for flights, and is located 14 miles (23 kilometers) from Oakdale. 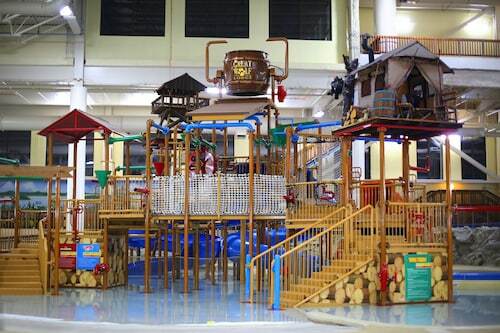 Nearby accommodation options include Radisson Blu Mall of America and Embassy Suites by Hilton Minneapolis Airport.